Rock Creek Villas in Quinton is a new master-plan active adult community with 60 ADA-friendly home sites in historic New Kent County, some overlooking the 15th fairway of the scenic Brookwoods Golf Course. Planned for the present, but the future as well. With a maximum of 60 homesites, Rock Creek Villas will remain an intimate community with a neighborly feel. 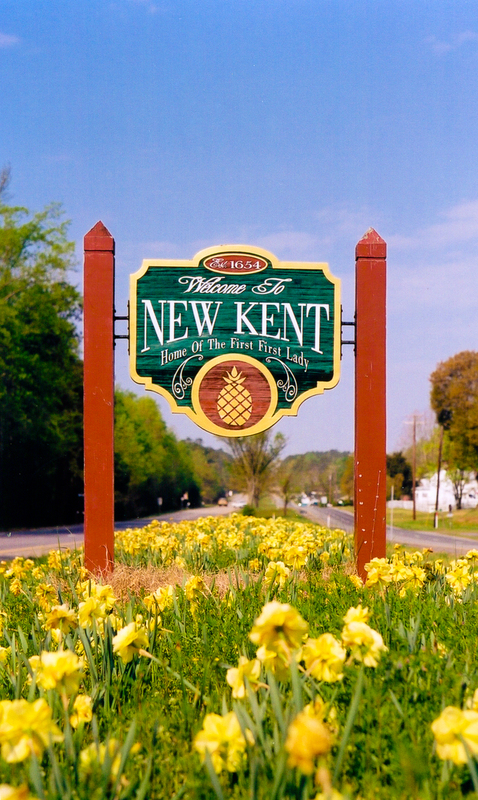 Historic New Kent County offers an excellent quality of life, with its lovely byways, rivers, lakes and farms, and is safe, quiet, clean and free of traffic gridlock. Walking distance to nail salon, dentist office, martial arts studio, dance studio, community church, restaurants, 24-hour fitness center, and salon/day spa. Medical facilities, pharmacy, grocery shopping and more dining are close by. Our brand new clubhouse is adjacent to our wildlife-protected nature area is for the property owners’ use. There are two ponds with lighted fountains, a picnic area, a 22-foot gazebo, and paved walkways throughout. 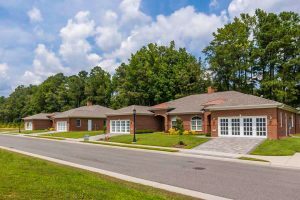 The maintenance-free, all-brick-exterior homes feature paved walkways with illuminated sidewalks and professionally maintained yards. Single-floor living easily accommodates those with mobility challenges – all homes are built ADA compliant for present and future comfort. Your choice of floor plans: The Type A villa floor plan has three bedrooms, two baths and 2,020 square feet of living space. Type B has 1,692 square feet of living space, but the same number of bedrooms and baths. Both floor plans also include foyers, great rooms with breakfast nooks and dining areas, sunrooms, laundry areas, and porches. Single-family homes built to your specifications. New buyers can custom-design their floorplan, which can include walk-in tiled showers, vaulted or tray ceilings, exceptional kitchen designs, walk-in master closets, and private patios, with upgrades available. Run your daily errands without having to venture far. Grocery and pharmacy, fuel stations, restaurants, physicians, dentist, gift shops, hair & nail salons, and even a post office are within five minutes. Unlimited dining choices are available in Williamsburg and Richmond. 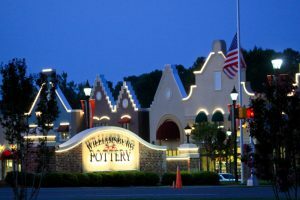 Two shopping malls are within a 20 minute drive, and outlet shopping abounds in Williamsburg. 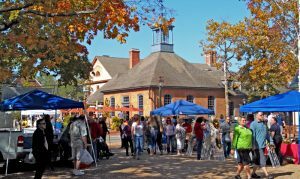 History lovers will enjoy the local plantations, Colonial Williamsburg, the Jamestown Settlement, and Yorktown. There are four wineries in New Kent County, and more in the surrounding areas. Play golf next door at the Brookwoods Golf Course, or select from three other fine courses close by. About an hour east lies spectacular Virginia Beach. The Shenandoah mountains are about an hour and a half away. For a livelier pace, Washington D.C. is about 90 minutes north. A new 17,000 square-foot medical facility will soon be built just minutes from Rock Creek Villas. 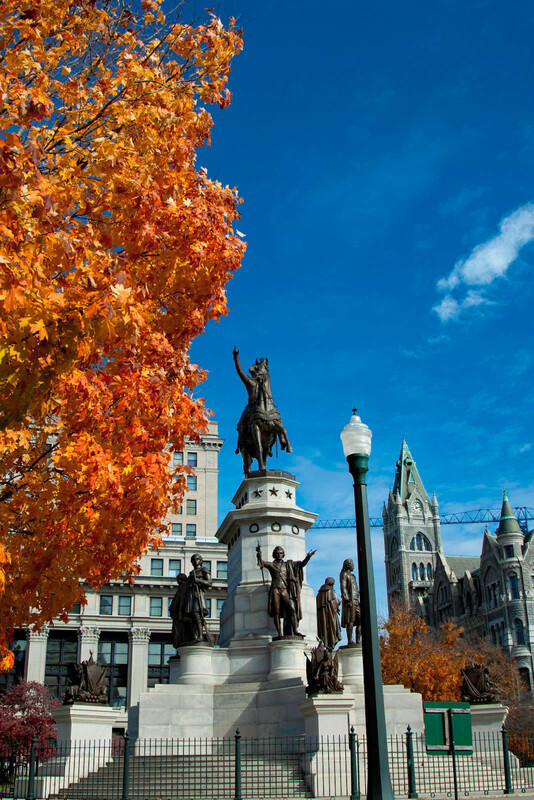 Richmond International Airport, 15 minutes away, and New Kent Airport, ten minutes away, make long-distance travel very convenient. Bay Transit, operated by the local Agency on Aging, provides public van transportation locally at a very nominal cost. Amtrak provides rail service from stations in Richmond or Williamsburg. 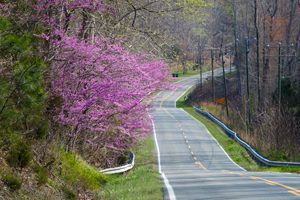 Rock Creek Villas are built and maintained by Cunningham Homes, LLC, a Class A contractor building fine homes in Virginia since 1974. The family-owned company includes Billy and Peggy Cunningham and their son Will. Rock Creek Villas has become the culminating point of showmanship for the Cunningham team. 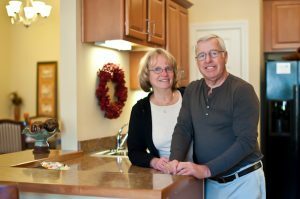 Visitors to Rock Creek Villas constantly comment on the quality and attention to detail which have become hallmark traits of Cunningham Homes. Both Billy and Will are on the job site continually, making sure that every detail is attended to according to plan and customer specifications. Rock Creek villas is a community of low-maintenance attached and detached townhomes governed by our property owner’s association. Dues paid to the association fund the maintenance of the community as a whole, the exterior of individual properties, the residents’ clubhouse, and related expenditures. Welcome to Rock Creek Villas. How may we help you? I consent to Rock Creek Villas Active Adult Community Williamsburg, Virginia collecting my details through this form.